I have learned about these beautiful, fine printed garments in this week's Links à la Mode, via a lovely blog post by the Sparkle in her eye. 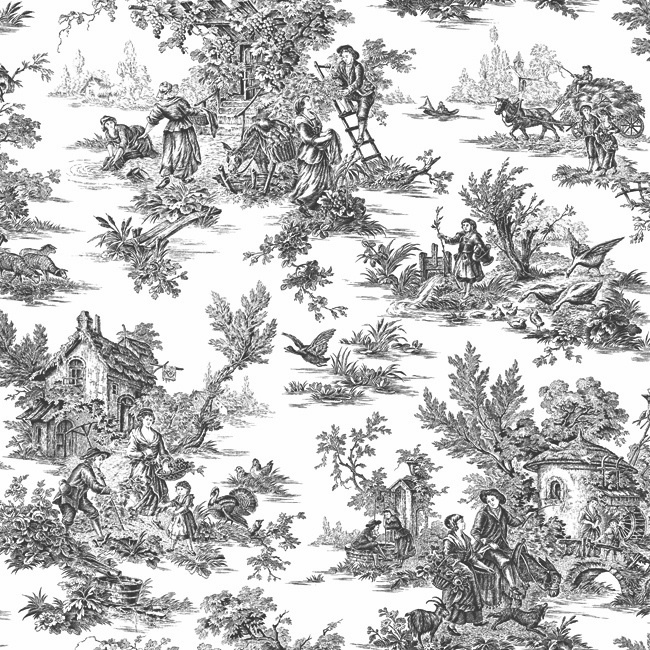 Pronounced ['twäl], the term is an abbreviated form of the phrase "Toile de Jouy" which means "cloth from Jouy-en-Josas", a town in north-central France. So this is where the fine patterns originally got popular and they are now used in many places, from home decor to fashion design. You can find a lot of Toile vintage fashion on Etsy, a Web shop platform, where users can sell their lovely, mostly hand-made pieces, such as these. Here we are, the first day of March – can you believe it? Spring will officially start this month, flowers will start to bloom (we hope!) and winter will finally start to let us out of it’s icy grip. This week’s Links a la Mode selections run the gamut from fashion week round ups to DIY projects and runway color inspirations. A friendly reminder to all of you who graciously submit your posts for LALM: If your post is chosen for the round up, you must post the code from this post onto your own blog. The purpose of our round up is not only to share your links with our readership, but to share your fellow bloggers’ links with your readers as well. This allows each blogger to get 20 outbound links to their blog, and yours too! Many of the blogs we have been selecting lately have not been posting the code, so we are going to be policing this more carefully in the future. Thanks again everyone! Miss Viki Secrets: Are Unpaid Interns Modern Slaves?